VAN’T HOFF is proud to present “Ruby Arabesque” a captivating ladies’ watch that explores the alluring echoing patterns of the arabesque world. 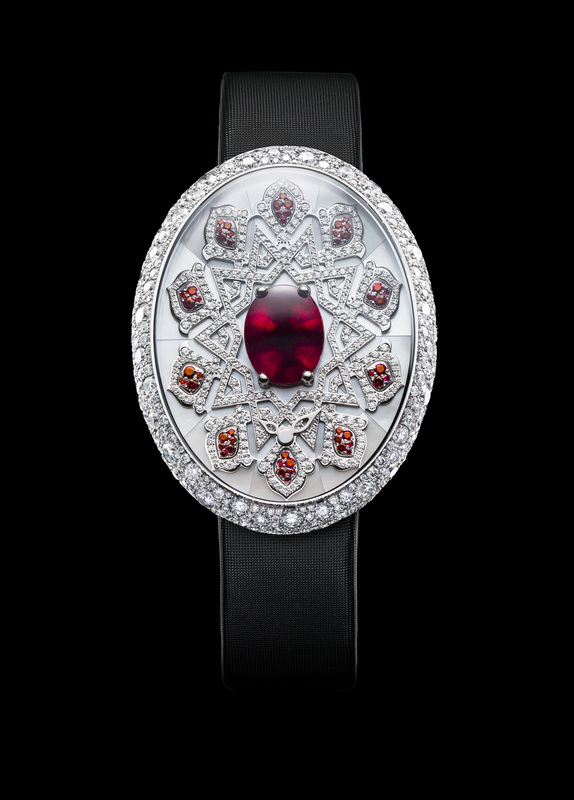 Through a combination of measured linear patterns of interlacing, overlapping, and repeating diamonds and rubies, this arabesque watch unites art with science into an exquisite mastery. 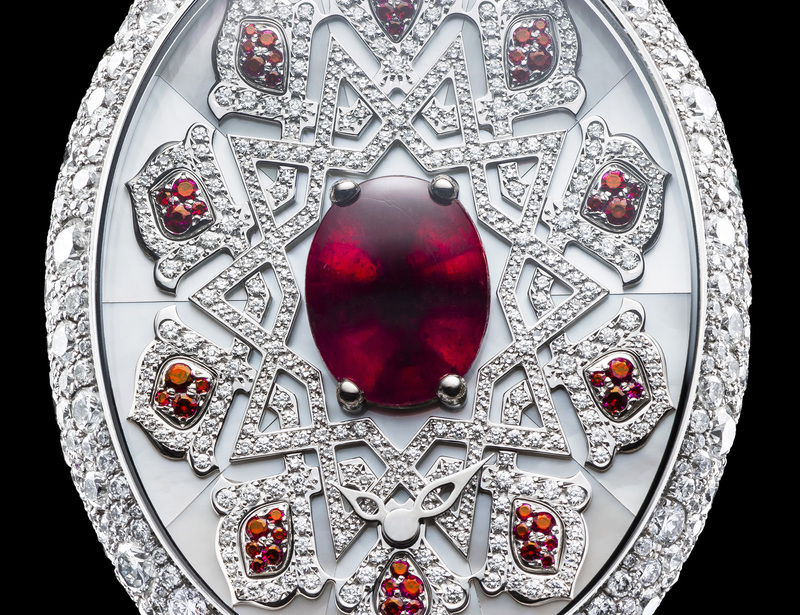 The fiery and enrapturing beauty of the Ruby, stone of nobility, considered the most magnificent of all gems, the queen of stones and the stone of kings is displayed in all its glory within this spherical time capsule. Revered by many cultures throughout history, the Ruby symbolises the sun, precisely as this gorgeous central ruby metaphorically radiates a glowing hue orbiting outwards from its center into a rhythmic patterned solar system. A base of mother-of-pearl marquetry and a polished reflecting edge complete this shimmering and vivid piece. Let our master engraver carve your bespoke design on the central ruby!